Earlier today QPR chief executive Lee Hoos confirmed rumors of the club’s relocation plan. “We are looking at all possible options to secure the future of the club in Hammersmith & Fulham and benefit the community,” he said. The indicated site is where Linford Christie Stadium currently stands, just 1 km north of Loftus Road. A much larger and football-specific stadium for 30,000 people could be built in its place. "A potential partnership with an athletics club such as Thames Valley Harriers to create a new community stadium - and an adjacent athletics track - could bring huge benefits to both clubs, as well as to the local community that is our home. The idea is at a very early stage with much work to do before any proposal is brought forward. Any new proposal – if it were to go ahead – would involve significant consultation with fans about all aspects of the stadium. 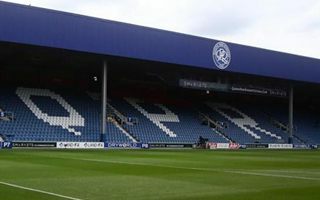 QPR have previously announced plans for a bigger stadium (with up to 40,000 capacity) at Old Oak, but land acquisition and wider problems with the Old Oak regeneration have forced the club to consider possible alternative sites.